As one of many thousands of Swans fans that rose this glorious, beautiful morning to hear the tragic news of our dear Dan Hannebery, glee and delight soon hid from raging, thunderous anger. Immediate thoughts of ‘how could they’ and ‘what the hell are they doing’ swirled through my head, accusations of vehement obscenities levelled against those in control. Repugnant unclean thoughts and future heads on pikes, Game Of Thrones style, swirled through the red mist of anger. It’s pretty easy to respond in anger to the trade when considering the terms. I don’t blame you, it was my first reaction. 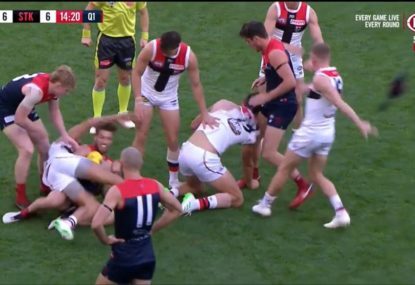 A premiership player, three-time All Australian, 2015 AFLCA Player of the Year, 2010 Rising Star winner and superstar of the competition, traded for peanuts. Peanuts! The trade itself is a doozy. A massive win for the Saints if you do a bit of Excel math. The Swans part way with Hannebery and pick 28, while the Saints send back pick 39 – which they got from the Eagles for Tom Hickey – and their future second-round pick in 2019. The Saints basically traded Hickey for Hannebery and landed two second-round picks. That’s the surface level stuff, that really drives the supporters mad and makes their blood boil. After losing Tom Mitchell for nothing just two years ago, the Swans are at it again, and this time with a club favourite. It’s easy to throw out your $5 cup of milk with a double-shot of coffee and stomp your feet, no doubt a lot of us were this morning. At face value, it’s a really bad trade, but you’ve got to scrape that scab off and really look at what’s festering underneath. The Lance Franklin trade created cap pressure, felt ever since with the massive contracts of Franklin, Hannebery and Kurt Tippett. Hannebery’s contract was renegotiated a few years ago now and he’s been paid handsomely at around $800k a season, while Tippett re-negotiated his early last year after earning close to $1m per year. Some players were forced into early retirement, others, like Shane Mumford and Tom Mitchell, simply left for better terms and in hindsight, were terrible trades for their output in subsequent years (let’s not get into the Oliver Florent/Will Hayward vs Mitchell debate). 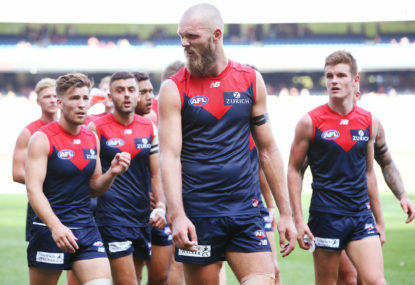 With Hannebery and Tippett off the books, over $2 million has been removed from the salary cap, the majority of which has already been spent on contracts and a healthy offer for Tom Langdon. Is it really worth losing a favourite son of the club and all-around good guy? Someone who always put his body on the line no matter what? 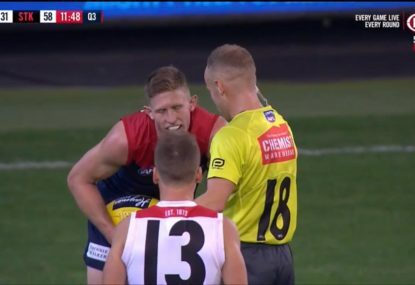 I don’t think anyone will ever forget Hannebery’s 2012 grand final, arguably his greatest game, or how important he was in 2016 during our fightback. Since that game, his body hasn’t been the same, struggling through numerous groin and hip-related injuries rumoured to be an undiagnosed and then mistreated osteitis pubis injury. His 2017 averages fell away significantly from his 2012-2016 levels, averaging close to his 2011 season, while his most recent campaign has arguably been his worst. He missed large chunks of the season and when he did return, although his running ability was still there, his disposal efficiency was dreadful. Kieren Jack-level. But he still couldn’t play without injury, suffering setbacks against the Giants in Round 22, the Hawks in Round 23 and struggling through the elimination final against the Giants. 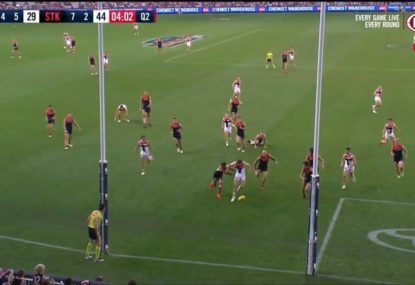 With his ability to spread and his much-vaunted endurance seriously hampered, combined with this atrocious efficiency, many wondered if we would even see the best of Hannebery again. At just 27 years of age, he’s supposed to be in his prime. 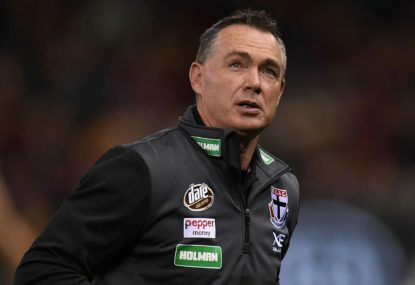 He was lambasted by the media all season long and initial rumours of his trade to the Saints were received with mixed fanfare. 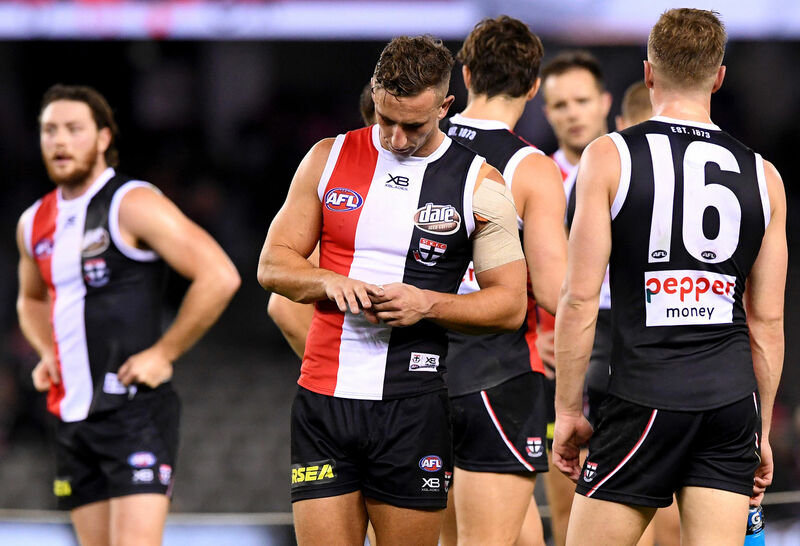 Pundits like Matthew Lloyd thought the Saints were nuts, while Swans fans didn’t really know how to respond. I’m sure most Swans fans were hoping for a first-round pick, or a good player in return, but let’s face it, this is 2018 Dan Hannebery we’re trading. A broken-down 1982 Datsun with 500,000 kilometres on the clock, not the 2015 Lamborghini. Naturally, we’re a bit flustered when one of the best players in the competition just three years ago is traded for pick 39 and a future second-round pick. That just seems incomprehensible to the majority of us, especially a player as revered as he is. A quick look at the pros and cons presents us a different story and one certainly worth telling. Pros: his $800k/season salary until 2021 has been offloaded to St Kilda for five years. With the departure of both Tippett and Hannebery freeing up around $2 million per season, we can re-sign young stars and go after Tom Langdon. We’re still close to 400 points better off in the draft for Nick Blakey and St Kilda now live with Hannebery’s awful disposals. Cons: He’s still an important player to us as evident in the Melbourne win. He’s a club life member and a favourite player. We all love him. We don’t love St Kilda as much as we love him. While swapping 28 for 39 was a fist in the face, given we traded out pick 13 to Carlton to 26 and 28 in the first place, the different is just -231 points, hardly a game-breaking difference to land one of the hottest talents in the draft. 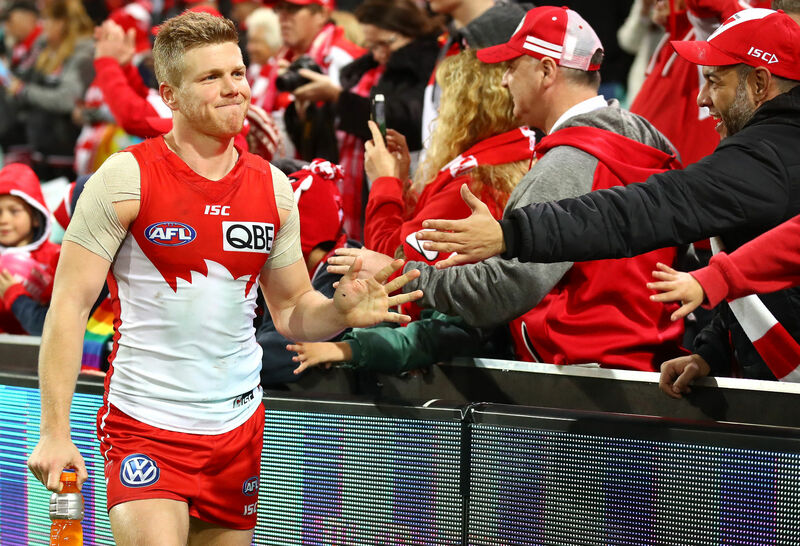 The most important question to ask is will we ever see Dan Hannebery back at his best? It’s a question most of you asked yourselves this year and not just contemplated trading him, but considered what he was worth. I asked myself those questions and while a first-round pick would have been nice, realistically it was never going to happen. 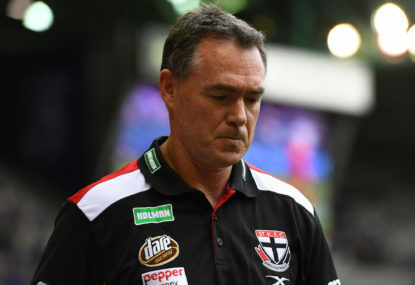 A player swap would have been the best outcome, but St Kilda was never going to give anyone up. The only logical outcome was a second-round pick, and we got two, so not bad business all things considered. I wish him all the best at the Saints and hopefully he can get back close to his former glory, otherwise the Saints are going to be kicking themselves for the next four years.